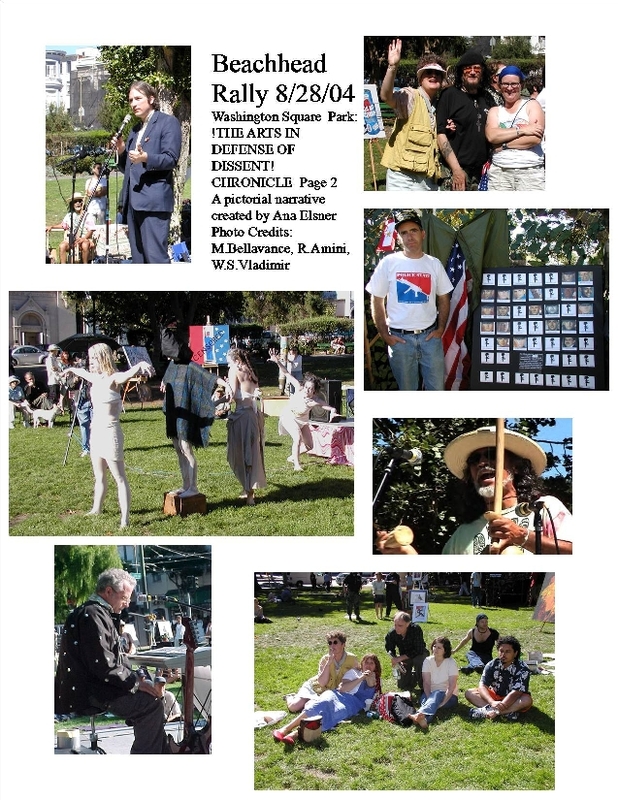 THE ARTS-IN-DEFENSE-OF-DISSENT RALLY WAS A GREAT SUCCESS ! Special *thanks to* the BEACHHEAD Organizing Committee, the many Volunteers, our Friends who donated the stage and the equipment, and to all the Artists, the Poets , the Musicians, the Speakers and the Performers who participated ! Matt Gonzalez was one of our many Speakers. Frank Garvey and his OmniCircus Cabaret made a special guest appearance with music and dance from their new show.